The Nigerian Police say they have recovered the mace that was stolen from the Senate on Wednesday. 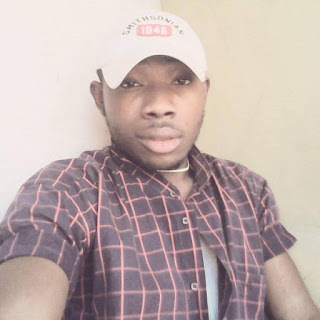 This was contained in a statement signed by the Deputy Police Public Relations Officer in the police headquarters, Aremu Adeniran. According to Adeniran, they recovered the mace where the hoodlums abandoned it. “The police teams engaged in massive raids of identified criminal spots/flashpoints, stop and search operations, visibility and confidence building patrols, intelligence gathering which forced the suspected miscreants to abandon the mace at a point under the flyover before the City Gate, where a patriotic passer-by saw it and alerted the Police,” the statement read. Adeniran, however, noted that discreet investigation into the incident was still ongoing to arrest and bring the perpetrators to justice. He appreciated members of the public, especially motorists within Abuja Metropolis for their support, during the stop-and-search operations for the recovery of the mace. 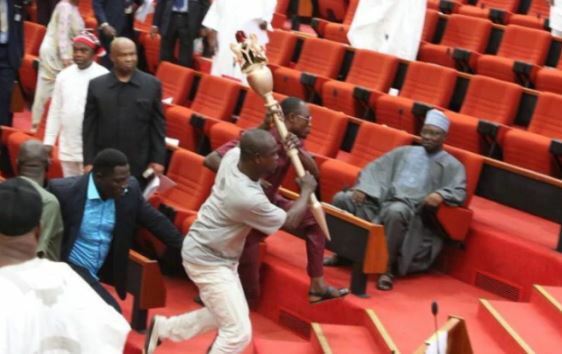 The National Assembly had on Wednesday given the Inspector General of Police 24hours to produce the mace that was stolen by hoodlums suspected to be sponsored by a suspended senator, Ovie Omo-Agege. Omo-Agege has since denied his involvement in the incident. A statement signed by his lawyer, Lucky Ajokperniovo, said that he only went to the Red Chamber on Wednesday, April 18 to resume work and sit for plenary. He added that he was only invited by the police to speak on his perspective and has been released.